I am interested in how prey animals use body patterning and colours to decrease their risk of predation. Such anti-predator coloration has had an important role in the history of the evolution theory: examples of prey coloration constituted some of the most convincing piece of evidence for adaptation and the power of natural selection during the early days of the theory. In spite of this, surprisingly little is still known about how colour patterns of prey manipulate the perception of predators and how natural selection shapes the specific appearances of prey. In my research I use both empirical and theoretical approaches. My main interest is how natural selection shapes cryptic coloration. Prey (and predators) use cryptic coloration to decrease their risk of becoming detected. At a first glance cryptic coloration may appear a simple adaptation, but actually our knowledge about how natural selection optimises cryptic coloration under various conditions is still quite sparse, and there is lot of work to be done in this research field. Because cryptic coloration is such a common adaptation, research on cryptic coloration lets us to understand how the appearances of most animals have been shaped. I am also interested in the optimisation of aposematic warning signals. These are typically bright patterns used by prey with a chemical or mechanical defence to warn predators about the defence and thus to deter attacks. One interesting question related to this topic is whether such signals always need to be easy to detect, or could some signals result in low risk of attack without resulting in high risk of detection by predators. Further, I am studying frequency-dependent predation and prey polymorphism. The idea that predators could eat proportionally more of the common prey type and, thus, contribute to the maintenance of polymorphism is well known. However, the dynamics of such selection (e.g. the net selection caused by independently behaving individual predators) are not well understood. In my research I use both empirical and theoretical approaches. Merilaita, S., Schaefer, H.M. & Dimitrova, M. 2013: What is camouflage through distractive markings? – Behavioral Ecology 24: e1272-e1273. Stevens, M. & Merilaita, S. 2011: Animal camouflage: an introduction. 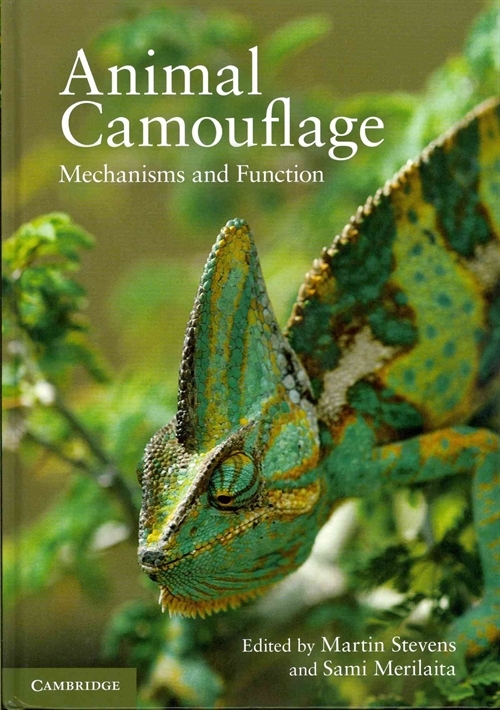 In: Animal Camouflage: Mechanisms and Function, Ed. Stevens, M. & Merilaita, S., Cambridge University Press. Merilaita, S. & Stevens, M. 2011: Crypsis through background matching. In: Animal Camouflage: Mechanisms and Function, Ed. Stevens, M. & Merilaita, S., Cambridge University Press. Dimitrova, M. & Merilaita, S. 2010: Prey concealment: visual background complexity and prey contrast distribution. - Behavioral Ecology 21: 176-181. Merilaita S. 2010: Applying artificial neural networks to the study of prey colouration. In: Modelling Perception in Artificial Neural Networks. Ed. Tosh, C.R. & Ruxton, G.D., Pp. 215-235. Cambridge University Press. Gotthard, K., Berger, D., Bergman, M. & Merilaita, S. 2009: The evolution of alternative morphs: density-dependent determination of larval colour dimorphism in a butterfly. - Biological Journal of the Linnean Society 98: 256-266. Dimitrova, M., Stobbe, N., Schaefer, H.M. & Merilaita, S. 2009: Concealed by conspicuousness: distractive prey markings and backgrounds. - Proceedings of the Royal Society B 276: 1905-1910. Stobbe, N., Dimitrova, M., Merilaita, S. & Schaefer, H.M. 2009: Chromaticity in the UV/blue range facilitates the search for achromatically background-matching prey in birds. - Philosophical Transactions of the Royal Society B 364: 511-517. Stevens, M. & Merilaita, S. 2009: Defining disruptive coloration and distinguishing its functions. - Philosophical Transactions of the Royal Society B 364: 481-488. 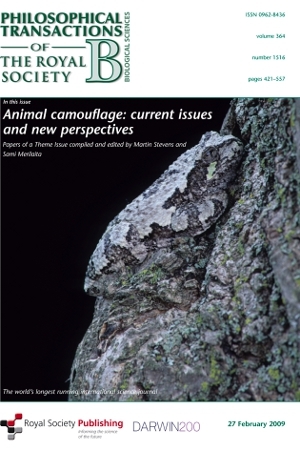 Stevens, M. & Merilaita, S. 2009: Animal camouflage: current issues and new perspectives. - Philosophical Transactions of the Royal Society B 364: 423-427. Merilaita, S. & Ruxton, G.D. 2009: Optimal apostatic selection: how should predators adjust to variation in prey frequencies? - Animal Behaviour 77: 239-245. 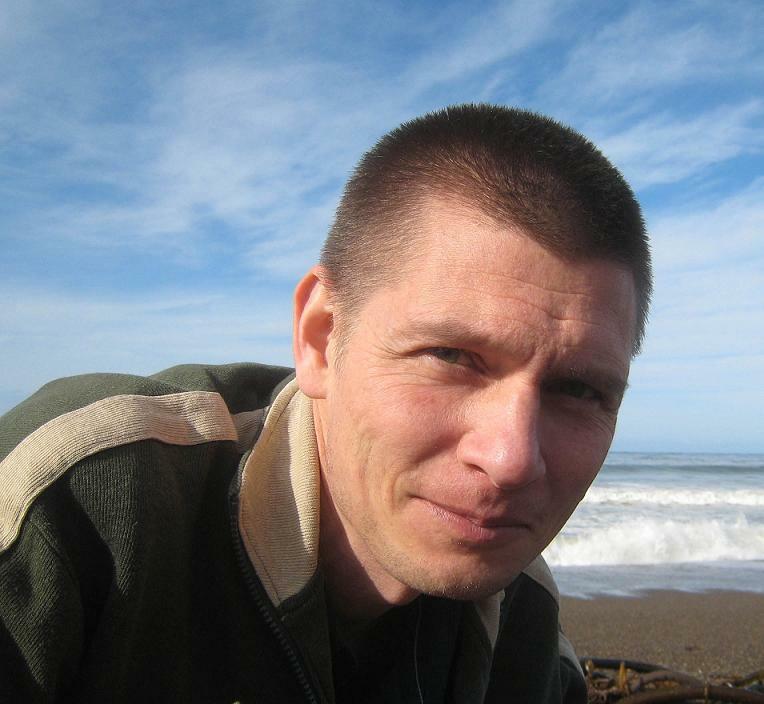 Vesakoski, O., Merilaita, S. & Jormalainen, V 2008: Reckless males, rational females: Dynamic trade-off between food and shelter in the marine isopod Idotea balthica. - Behavioural Processes 79: 175-181. Tullberg, B.S., Gamberale-Stille, G., Bohlin, T. & Merilaita S. 2008: Seasonal ontogenetic colour plasticity in the adult striated shieldbug Graphosoma lineatum (Heteroptera) and its effect on detectability. - Behavioral Ecology and Sociobiology 62:1389-1396. Bohlin, T., Tullberg, B.S. & Merilaita S. 2008: The effect of signal appearance and distance on detection risk in an aposematic butterfly larva (Parnassius apollo). - Animal Behaviour 76: 577-584. Friberg, M., Vongvanich, N., Borg-Karlson, A.-K., Kemp, D.J., Merilaita, S. & Wiklund, C. 2008: Female mate choice determines reproductive isolation between sympatric butterflies. - Behavioural Ecology and Sociobiology 62: 873-886. Caro, T., Merilaita, S. & Stevens, M. 2008: The colours of animals: From Wallace to present day. I. Cryptic coloration. In: Natural selection & beyond: The intellectual legacy of Alfred Russel Wallace. Ed. : Smith, C.I. & Beccaloni, G. Pp. 125-143. Oxford University Press, Oxford. Modified by Karin Kjernsmo, all images/photos belongs to our research group and may not be copied and used without our permission.